If you didn’t know by now, I am a bronzer fiend! I love everything about bronzers and I use them every time I do my makeup. 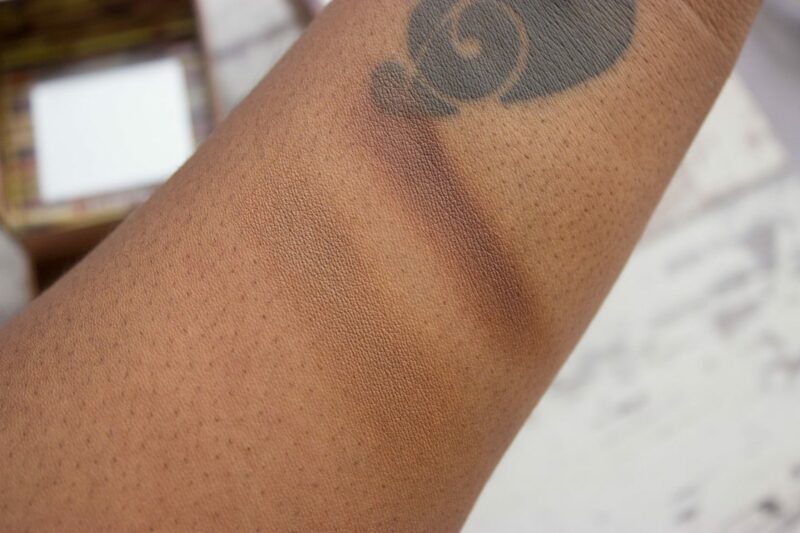 Spring, Summer, Winter, Autumn – I always NEED to bronze but being a black girl in a bronzer world can be dissappointing. It’s EXTREMELY rare to find bronzers suitable for black skin and virtually impossible if you are deeper in complexion, but the beauty brands stay ignorant so we work with what we have. I have to say I’ve never really paid attention to Hoola because it wasn’t relevant to me. Benefit only had Hoola and Hoola Lite for fair and fairer skin tones so I didn’t give it a look in at all but after FINALLY acknowledging that people come in a variety of skin tones, Caramel and Toasted were released. 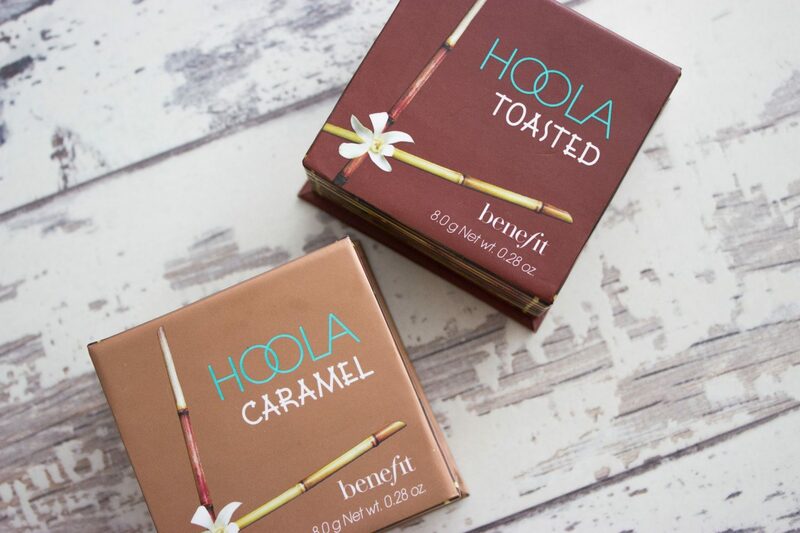 Hoola Matte Bronzer – Caramel and Hoola Matte Bronzer – Toasted – £26 (each) are matte bronzers aimed at medium deep and deep skin, respectively. Upon first look at these bronzers what struck me was the size. These bronzers are TINY for £26 each. I mean, TINY! You’re only getting 8g worth of product here which blows my mind. As you can see from the packaging, most of it is just for show, much like a packet of crisps, it’s mostly just space. Nonetheless, you do get a small brush and an enclosed mirror, I’m not going to BS you, these do not justify the price tag but I am trying to make myself feel better. Let’s start with Caramel. I picked this up as I saw a black YouTuber use this as an all over lid colour and I loved how it looked on her. Caramel is a matte, warm caramel colour that reminds me a lot of MAC Uninterrupted with a little less coolness in relation to undertone. I could possibly see how this would work as a bronzer but I think you would have to be careful not to go overboard as it may come across as muddy. I tried to use Caramel as a bronzer but it did not show up on my skin tone, which was expected. Toasted did show up on me so I’ll be talking about my experience with Toasted for the rest of this post. Toasted is red based matte brown and it is SUPER rich. As you can see from my swatches it has pretty good pigment and shows up pretty well on my skin tone (click HERE for my foundation shades). Both shades are buildable and pigmentation is great, no complaints there! I did find when swatching these powders that the natural oils on my fingers seemed to set the tightly pressed powder in the pan. This meant I had an oil streak in the pan, whilst this isn’t a big issue, I think this may be a powder that you would have to scrape to get product out if it gets wet or comes in contact with oils. In terms of applying Toasted was pretty pigmented, it really gave me a really nice matte bronze effect. As this is a rich red-brown, I had to be careful not to go overboard so I used a light hand and blended and I had no problems whatsoever. It was also very easy to layer without muddiness. 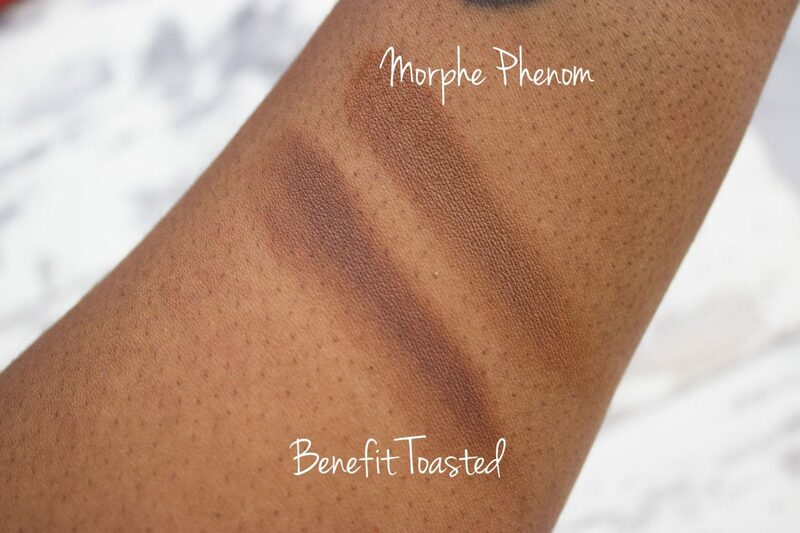 I’ve added a swatch of Toasted compared to the new Morphe Bronzer in Phenom (review coming soon) just as a comparison and to show how rich in colour it really is. Longevity wise, Toasted lasted a good 12 hours on me and it was only 12 because I took my makeup off when I got home, if I hadn’t, I’m sure this would’ve lasted longer. 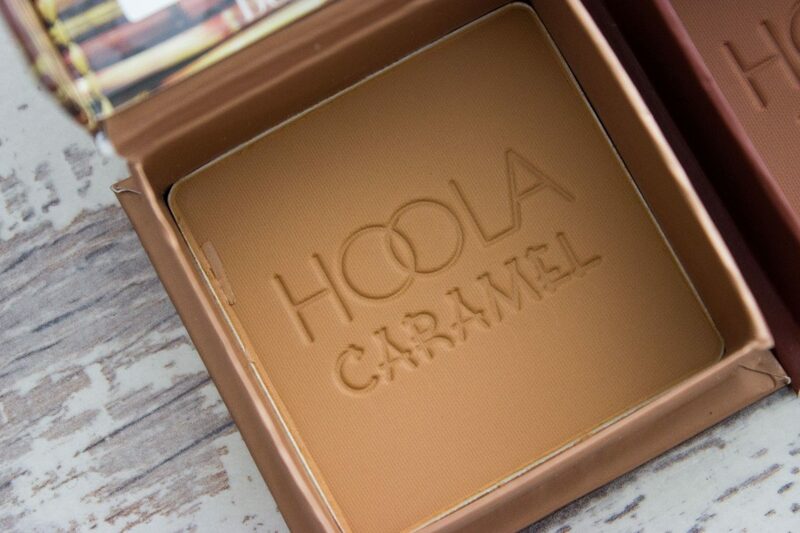 All in all, I think Hoola Toasted is a great bronzer if you are around my complexion and you want something a little richer compared to what’s on offer right now. My only qualm about this is the price tag. Whilst Toasted is great, the price in relation to the amount of product you get REALLY bugs me. It’s just too small for £26. I would need to make this my holy grail bronzer to feel like it’s worth £26. However, playing devil’s advocate (with myself) I have to admit, I cannot think of any bronzer off the top of my head that could be a dupe of Toasted and that is readily available in the UK. 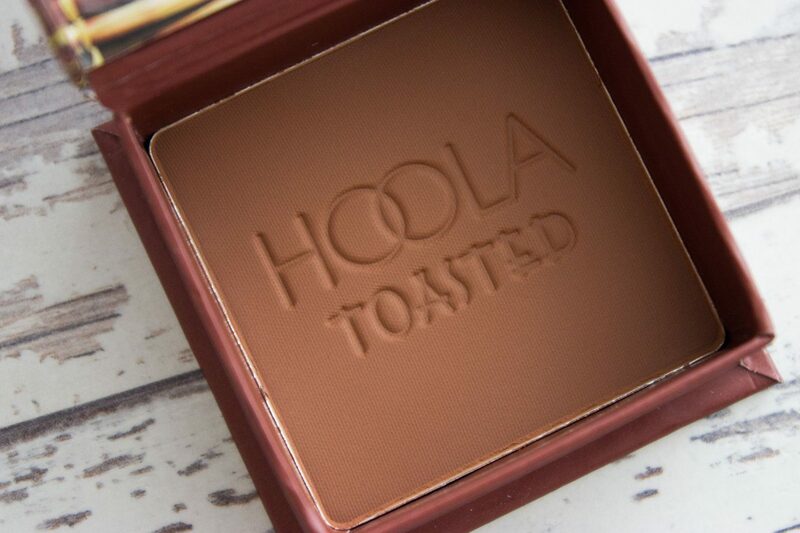 My hurt purse strings aside, if you’re looking for one deep bronzer to really do the job, Hoola Toasted may just be the one for you. It’s rich in pigment, suitable for most brown/black skin and now readily available on the high-street. 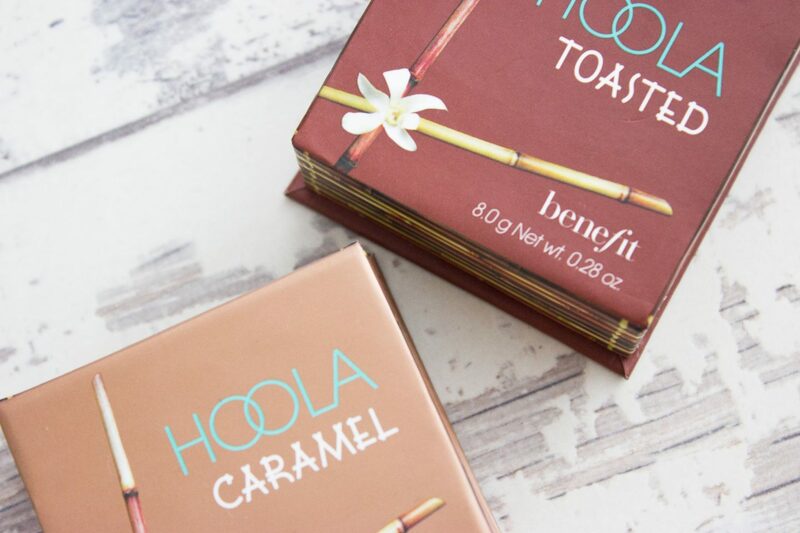 You can now pick up Hoola Toasted and Hoola Caramel from Boots, John Lewis, Selfridges and of course Benefit. I’ll be compiling a list of all my go-to bronzers very soon so stay tuned!